Sega celebrating fifth anniversary with electronic songstresses. Domestic sales for Sega’s Hatsune Miku games have reached over 2.5 million, the publisher announced. 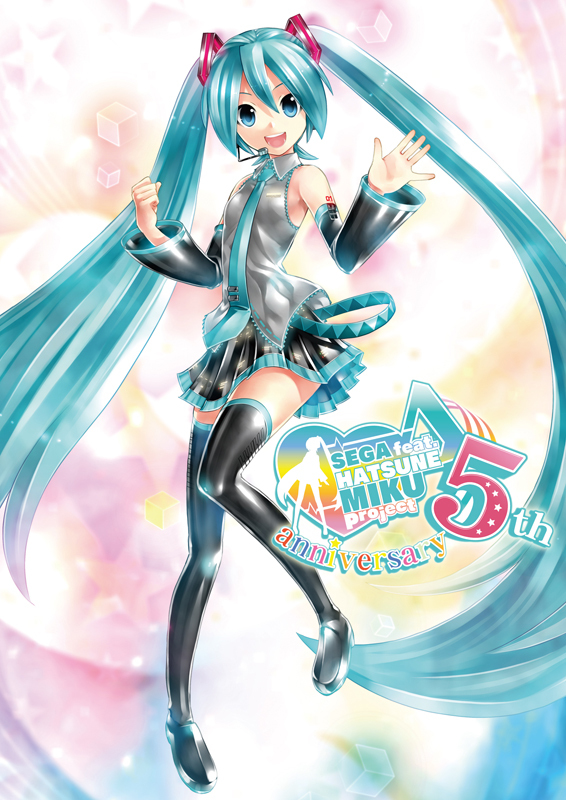 Sega, which first collaborated with Crypton Future Media in 2009 to bring the electronic songstress to game consoles, is celebrating its Hatsune Miku games’ fifth anniversary this year. The following console games have launched since the company’s “Sega feat. Hatsune Miku Project” collaboration. We’ve added the latest retail sales data via Game Data Museum. In celebration of the project’s fifth anniversary, the official Hatsune Miku Twitter account is accepting messages from fans with the hashtag #mikusega5th, which might be used on the series’ official website. Additionally, Sega is hosting a “5th Anniversary Special Talk Show” today at 19:00 Japan time. You’ll be able to watch it live on Niconico.